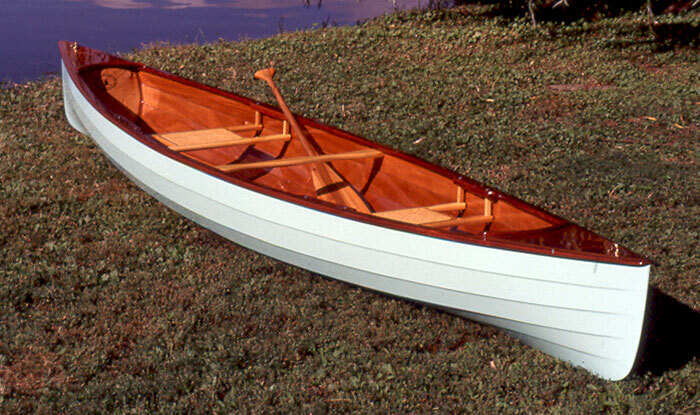 Richard Knight built this Sassafras 14 canoe from a kit designed by CLC using 4 mm okoume planks, which resulted in a finished weight of just over 42 pounds. He found the lapstitch construction to work well, the hull easily came together straight and true. 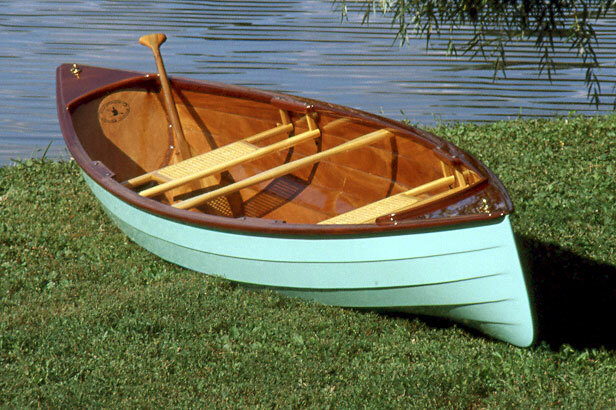 He writes, "There was one day in particular that started with this unruly collection of loosely-connected planks, flapping in the breeze, and three hours later, with the stems pulled together, there was this great-looking canoe hull." He will be using it on the rivers and lakes of eastern Iowa, and he hopes he has a chance to get in the Missouri and the Mississippi and as many of the Great Lakes as he can. Richard can be reached at 1340 Norwood Drive SE, Cedar Rapids, IA 52403 or by email at r.r-knight@mchsi.com.